Diana and I were recently invited to speak at the Women In Travel Summit presented by Wanderful and held in Milwaukee April 21-23rd. We were thrilled to be asked. We absolutely love meeting other women travel writers and know most of them are food lovers too. Our presentation was during the Blogger 101 sessions on the first day. Our topic was “How To Make Your Audience Fall In Love (With You! ), Developing a Memorable Digital Brand”. This is an area that is near and dear to our hearts. We were excited to share our thoughts and experiences with our audience. 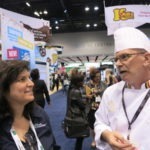 One way that we connect with our audience here at Food Travelist is with our own personal experiences and relationships. We thought that bringing an experience to the presentation would help illustrate our point. We called our friends at Fannie May and asked if they’d want to help us make our session a little sweeter. As you may know, I’m a huge fan of Fannie May and have been enjoying their handmade candies since I was a kid. We often write about the latest Fannie May and share their latest creations and promotions on Food Travelist. 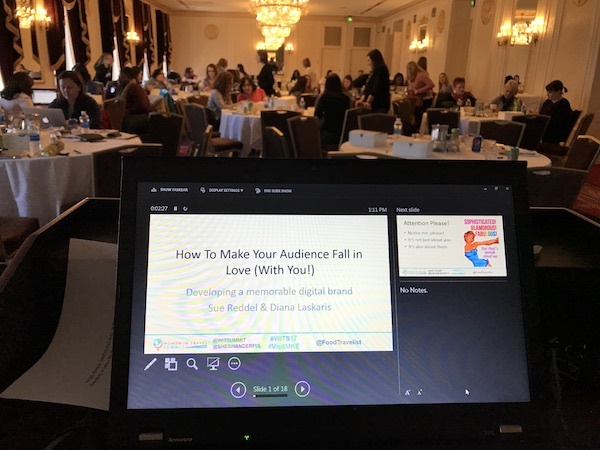 As we began our session we talked about how important it is to develop relationships with brands that connect with you and your audience. 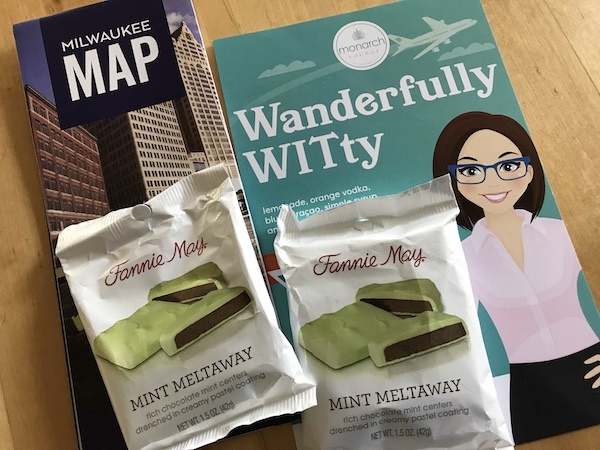 As we did this we handed out the Mint Meltaways (one of Fannie May’s most iconic candies) to our attendees. They oohed and ahhed as they unwrapped their little treats. Let’s just say that they got the message loud and clear! Fannie May has been bringing their fine chocolate to fans for over 95 years. We’d be remiss if we didn’t remind you that Mother’s Day is right around the corner on May 14th. 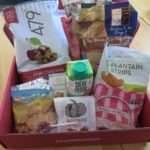 You can order something very sweet easily & quickly at fanniemay.com. We had fun sharing our thoughts on brand building and meeting all the travel bloggers, brands, and destinations that attended the event. As we often say, we believe that a rising tide lifts all boats so we’re happy to share our expertise to help other women build successful businesses too. 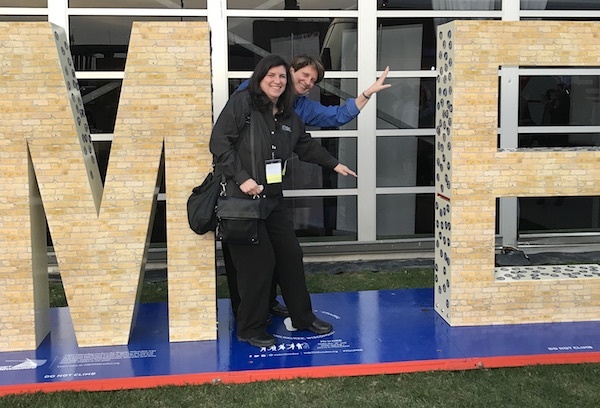 We also had the opportunity to attend many of the other sessions that were very informative and gave us lots of ideas about how to further build our brand and connect with more brands and destinations. Panels that included destination and brand managers provided insiders’ knowledge on how to pitch stories and secure press trips were also valuable. Another panel of seasoned entrepreneurs provided real-life stories on successes, challenges and setbacks that also inspired attendees. We met with destinations and brands in Power Networking sessions. There were one-on-one sessions and nine-on-one sessions available for seasoned travel writers and beginners alike. One of the best parts of the experience was meeting so many talented women writers we’ve known online for years but never met in person. We loved meeting new friends too. 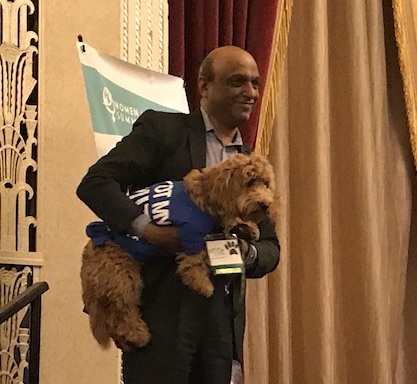 Another star of the conference was Millie, the pet concierge at the four-diamond Hilton Milwaukee Downtown where WITS17 took place. 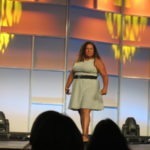 She took the stage and wowed the crowd. If you needed any downtime Millie was there for free pets and snuggles. WITS17 was hosted by Visit Milwaukee. If you’ve read any of our previous articles on Milwaukee you know that we’re big fans. Of course, we would expect them to roll out the red carpet and welcome over 400 women to their city. Milwaukee did a wonderful job holding the opening night ceremony at the Harley-Davidson Museum. It was an evening filled with great stories, great food and great music played by the awesome cover band Random Maxx. Our only question is why the heck weren’t more of you gals dancing? No trip to Milwaukee is complete without exploring some new food. We dined at Kilawat, which we really enjoyed. Our server Jo was a rock star and our new friends from Visit Kenosha kept us totally entertained. We had a ball learning about all the great food and fun Kenosha has to offer and met some new blogger friends too! Milwaukee planned lots of tours around town for attendees to really get a feel for what this city on Lake Michigan is all about. 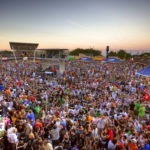 Tours and activities included the beautiful Milwaukee Art Museum, beer tours, walking tours, food tours, a baseball game and even a Bloody Mary Tour! 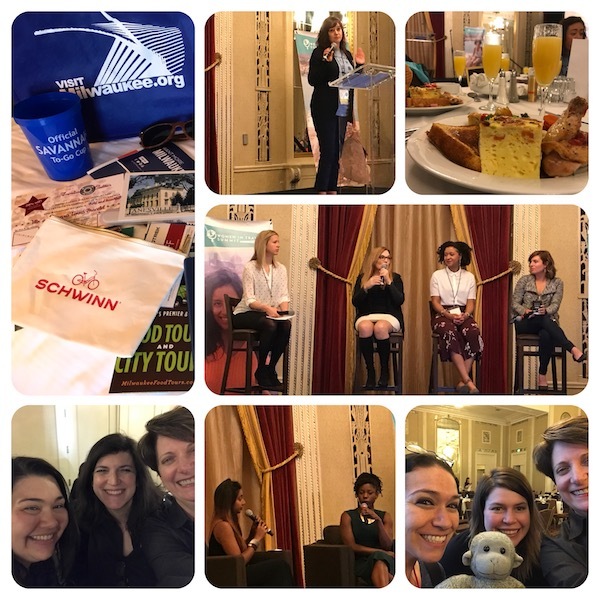 We had such a great experience at WITS17 that we waited with anticipation during the Sunday Brunch to hear where the next summit will be held. We were so excited to hear that for WITS18 we’ll be at one of our favorite international destinations – Quebec City May 4-6 2018. 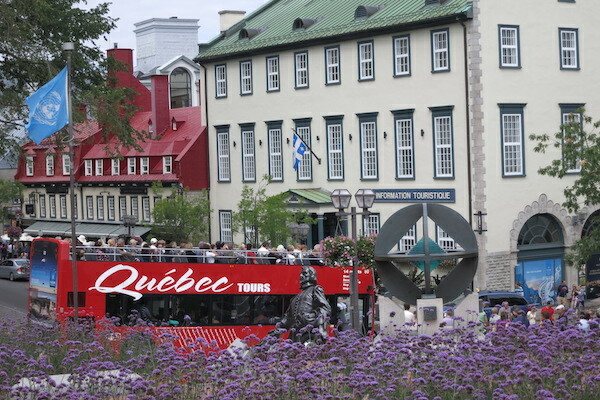 Located close to the United States, Quebec City offers flavors of Europe in this stunning city on the St. Lawerence river. We already purchased our tickets to WITS18 and are excited to be staying at the host hotel the Fairmont Château Frontenac. 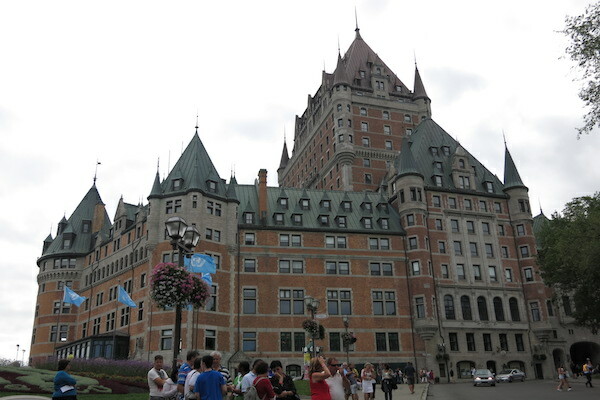 We toured the hotel on a visit to Quebec City years ago and its wonderful history and architectural beauty is incomparable. The hotel also has an environmental initiative that we can’t wait to be a part of, Chateau Boréal. For every guest that forgoes the daily cleaning of their room, the Fairmont Le Château Frontenac will plant a tree. The trees are then planted in the Montmorency Forest. It is the largest teaching and research forest in the world. For more information about WITS18 and to order tickets check out their website at sheswanderful.com/witsumit/. 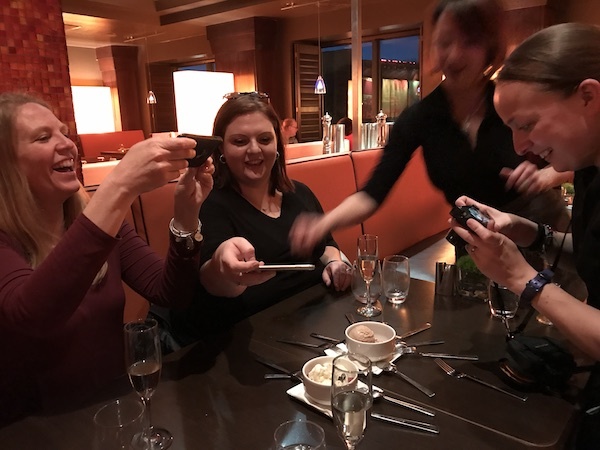 We hope to see all our women travel blogger friends in Quebec City in 2018! If we met (or if we didn’t) at WITS17 in Milwaukee please connect with us. We want to stay in touch. If you have any questions about WITS or our presentation please don’t hesitate to reach out and say hi! This sounds like a wonderful and rewarding experience! I’ve been wanting to go to something like this in the future. I’m going to look into the 2018 summit. I have never been to Canada and would love to attend! Hi Christine! You should really consider WITS18. I know you’ll learn a lot at the conference and Quebec City is a wonderful destination. Hi Lauren, thanks for stopping by. 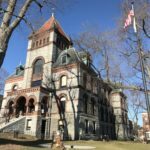 Take a look at WITS18 and come meet us in QC. It was a great conference. Sorry I missed your presentation but as you said, so much to learn. Milwaukee knocked me out. Wish I could’ve done all of the tours! Hi, Elaine! Hopefully, we’ll connect in QC. I agree we didn’t get a chance to do any tours but they all looked like a lot of fun. That’s great news Evelyne! See you in QC! Woohoo! It certainly was a fun WITS. I am already booked for Quebec..can’t wait! You gals are awesome!! I’d like to make it to women to travel in Quebec make it sound awesome. I had a wonderful time and am so excited about Quebec City! I’ve visited 7 continents but never been to Canada! Hi Tam! Then you must come to QC you will just love it. Hi Sandy! Hope you can make it to WITS18 in Quebec City. Congratulations it looks you had an amazing weekend. Your idea of offering this amazing chocolate to the audience was great. I really hope to join a travel summit in the future. What an amazing experience for you :-)! I was in the US when this was on but somehow missed the memo, which can happen when we travel ha ha. It would have been amazing to be at your presentation. Maybe we can catch up in Quebec City next year :-)! Never been to milwaukee but always wanted to go. Thanks for adding to my intrigue. I almost went to this but thought I should wait until I was a little more stable with my blogging. Putting Quebec on the calendar right now! Hi, Sherianne! WITS is perfect for beginner bloggers and those more advanced. Hope to see you in Quebec City. This is a fun way to meet other women especially those who enjoy the same things you do. I hope we had a similar one back here. I’ve wanted to go to WITS but haven’t been able to because of other travel plans. I’d love to go in 2018 and Quebec City is a fantastic location. It would be really great to connect with so many other women bloggers and learn together, too! This conference sounds amazing. I had never heard of it and really love the idea. I love the destination for 2018 and will have to look into attending. The conference sounds awesome. I signed up for email updates so maybe I’ll go next year! Hi Kristen, definitely check it out. We found it very educational and worthwhile. Thanks for sharing. Sounds like a great conference. Hope I can attend next year. Haven’t been to Canada in a long time. We hope you consider it. We think it’s a must for any woman travel writer. Thanks for stopping by. What a fun way to meet other women in travel as well as learn about the industry…I would love to attend!! I would have loved to hear you speak! What a great idea to hand out the “goodies!” I’ve marked my calendar for the 2018 WIT summit in Quebec — that will be amazing! Can’t wait to meet you in Quebec City Patti! You’ll love WITS. You gave away chocolate!!! Wish I had been there to hear you speak. Am sure you two were a hit. I have signed up for Quebec City as well and can’t wait! (Can’t believe I’ve booked a trip over one year in advance). Your rave reviews reinforced the idea that this is a great conference. That’s great Jan. I’m guessing we will find a fantastic French restaurant to share a meal at again. I know what you mean we never plan this far in advance either but we simply didn’t want to miss out. And we took advantage of the low early-bird rate too! It was nice to meet you in person and Quebec City, here we come! Great round up of a fun weekend. Thanks, Sara! It was nice to meet you too. See you in Quebec City! Awesome round up of a fabulous weekend!! Thank you so much for coming — you were both fantastic speakers! Thank you so much, Erin! We can’t wait for Quebec City.